Nairobi county has repossessed over 200 public parking slots from grabbers over the last one month, the county government has announced. In an announcement, Nairobi governor Mike Sonko has said that his government is targeting other 50 slots under the control of cartels. “We have no room for land grabbers in Nairobi and my administration will not relent on it’s quest to reclaim grabbed public land in Nairobi as promised during my pre-election campaigns,” warned Sonko. 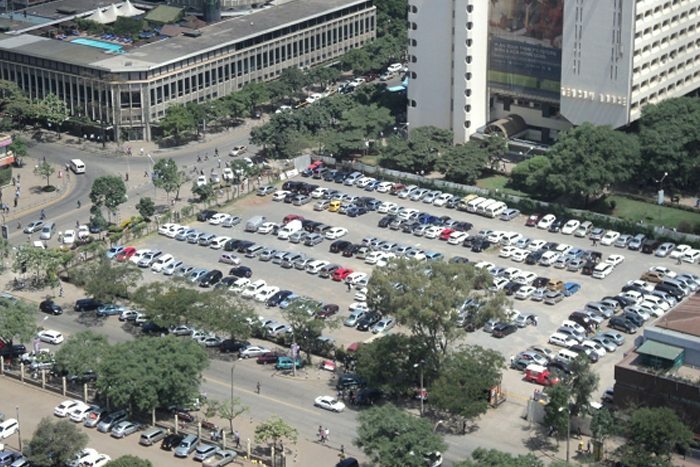 Director for Parking Tom Tinega says that the county government is targeting all public slots in the Central Business District (CBD). “We have started the campaign in the CBD where a number of public parking bays have been grabbed by individuals who have redesigned the parking slots for their own personal benefit and we are targeting other 50 areas,” said Tinega. The government says that the reclamation is inpreparation for the introduction of the Bus Rapid Transport system in the city. Among the parking bays that have been repossessed is the one between Nyayo House and Intercontinental hotel where a private developer had converted the parking bay into a private property. Another parking bay that has been repossessed by City Hall from grabbers is along Haile Selassie Avenue next to Shell Petrol station where the grabber had installed parking payment machines. “We want to warn the grabbers that we won’t entertain impunity. The administration will not condone land grabbers and that’s why we are on with this campaign to ensure we increase the parking slots in Nairobi by reclaiming the grabbed areas,” added Tinega.